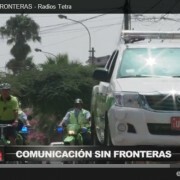 In order to improve the fight against insecurity in their communities, 27 of 43 Lima's districts have updated their technology equipment through the Tetra platform in its central emergency, with what they have achieved better control of the streets and safer communication, efficient and uninterrupted with the Police and the outstanding Serenazgo those districts. 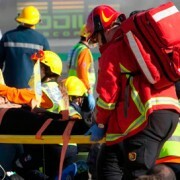 The Tetra system, designed to support communications in critical situations thanks to its digital trunked procedure, uses a different band to conventional mobile operators. This allows communications to be maintained in all circumstances and, also, for the sole use of a button you can send instant emergency alert as a group. 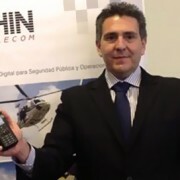 Currently districts like La Molina, Surquillo, Miraflores, Lurigancho Chosica, inter alia, use Dolphin Telecom Tetra system in its central emergency and have managed to reduce the crime rate and prevent the danger in the streets. Also, efficiency in communications has allowed districts neighbors can communicate through this system and a criminal act intended to circumvent the law by crossing the district boundary. 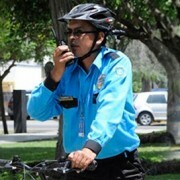 Recently, the Municipality of Bellavista in the Callao opened its new Central Public Safety operates the Tetra system. "We have previously verified the efficiency of the system and the neighbors know that thanks to this technology monitors your security 24 hours a day and prevent various criminal acts in the district. 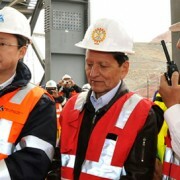 Also, the operation of our units works much better thanks to its GPS system ", Ivan said Rivadeneira, Mayor of Bellavista. 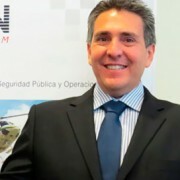 Notably, that municipalities are connected by Tetra platform with the National Institute of Civil Defense - INDECI and Fire.